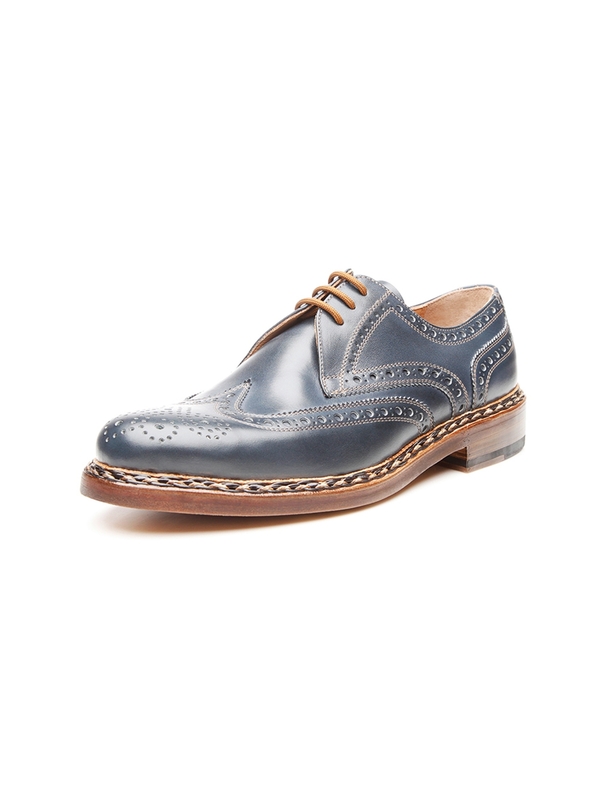 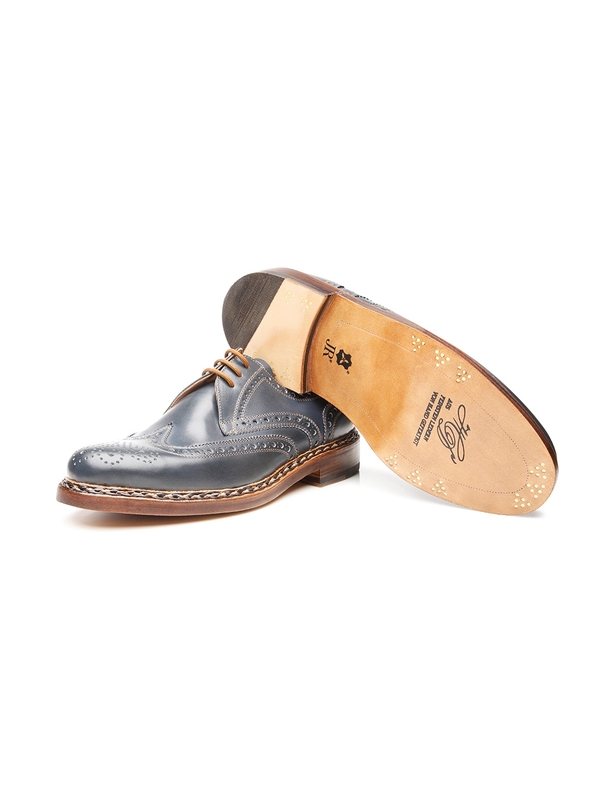 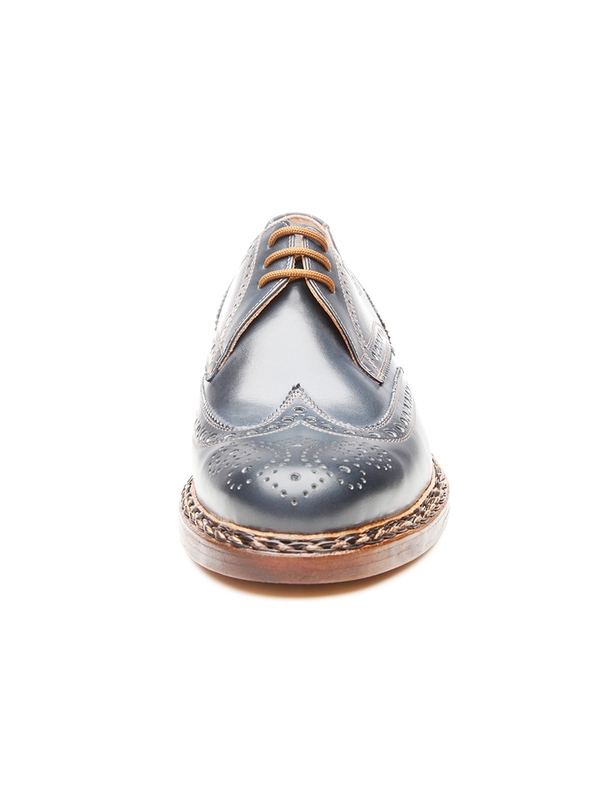 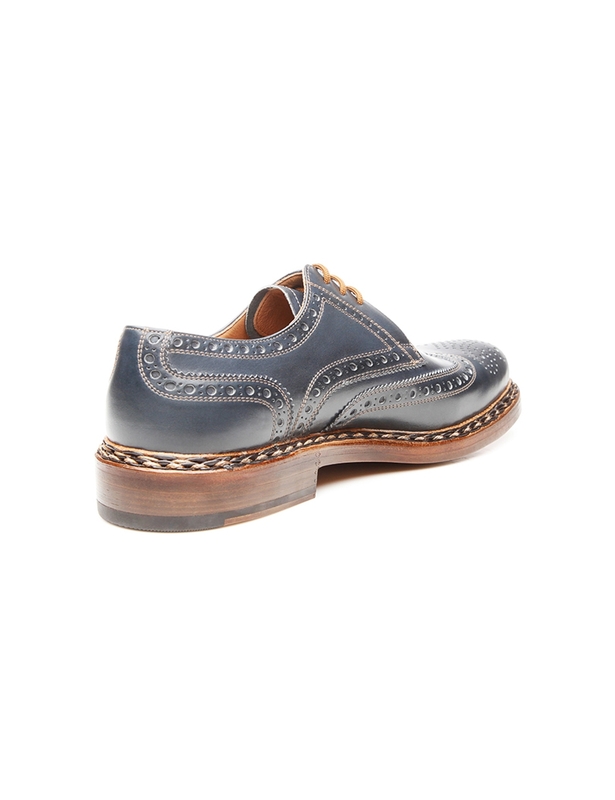 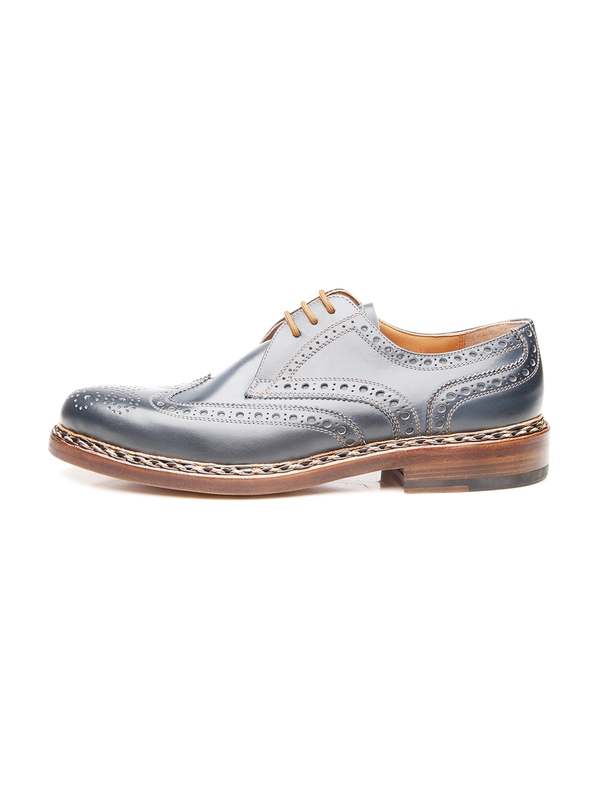 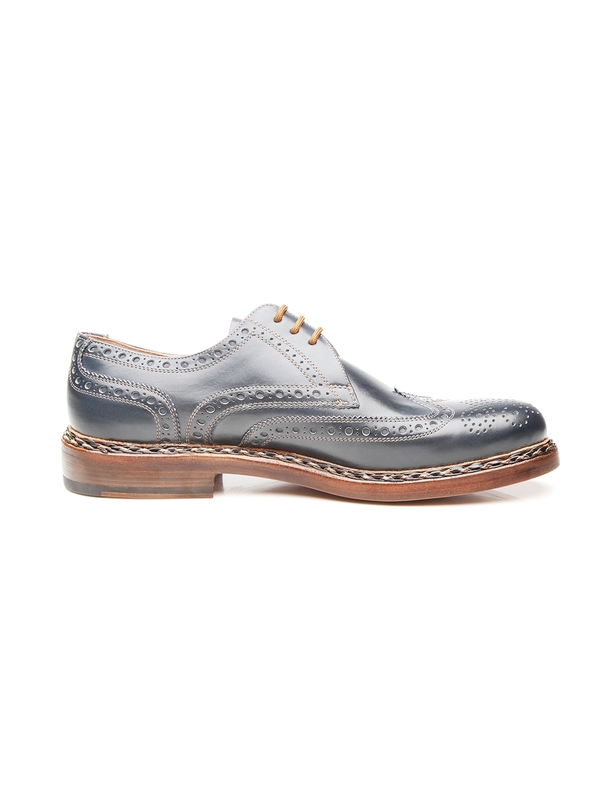 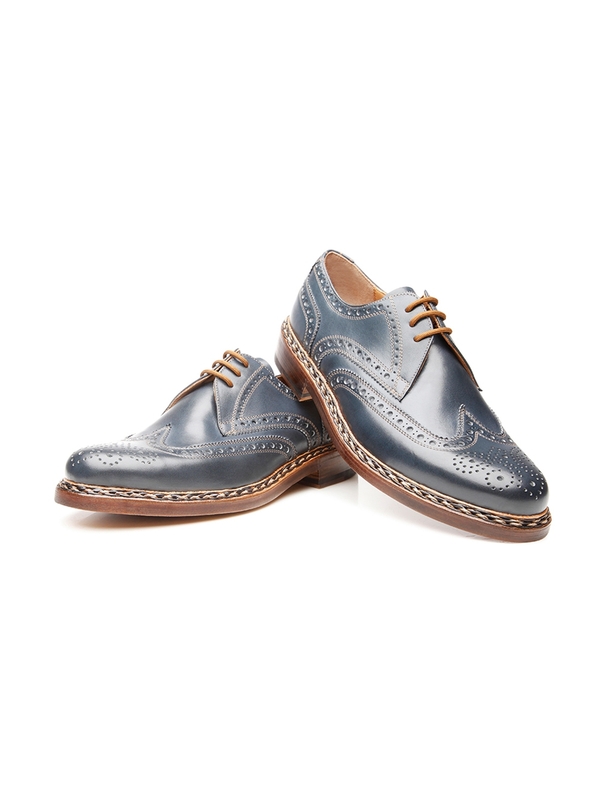 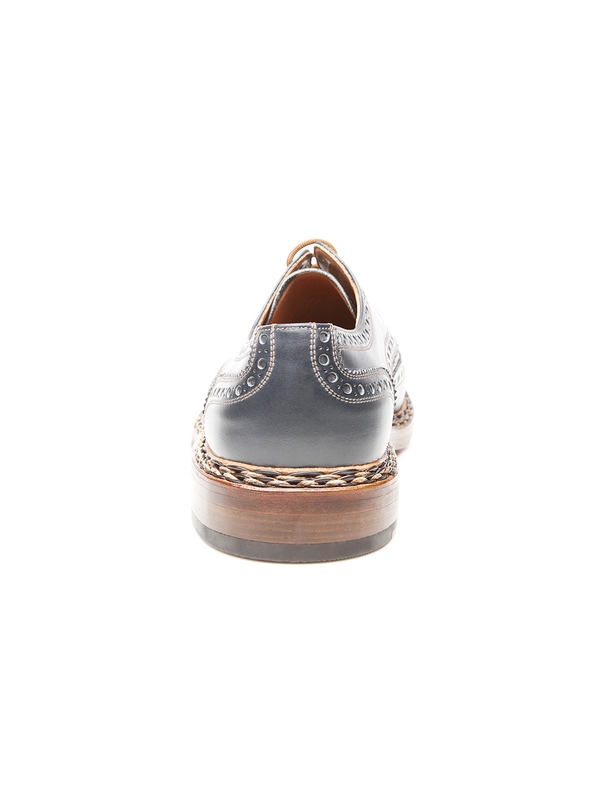 A classic Derby cut gives this full-brogue model a sense of playful nonchalance, as does the detailed Lyra pattern along the heel and toe caps. 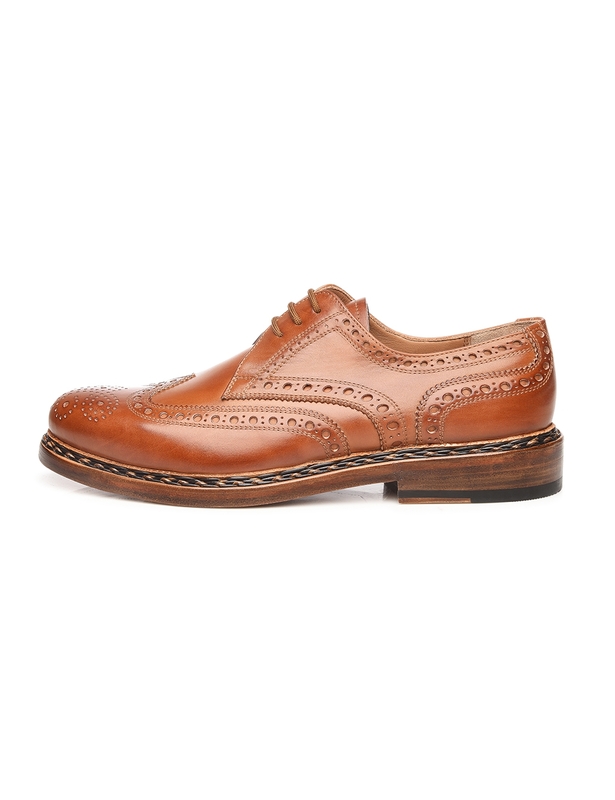 Sophisticated rosette perforation on the front section rounds out the traditional design. 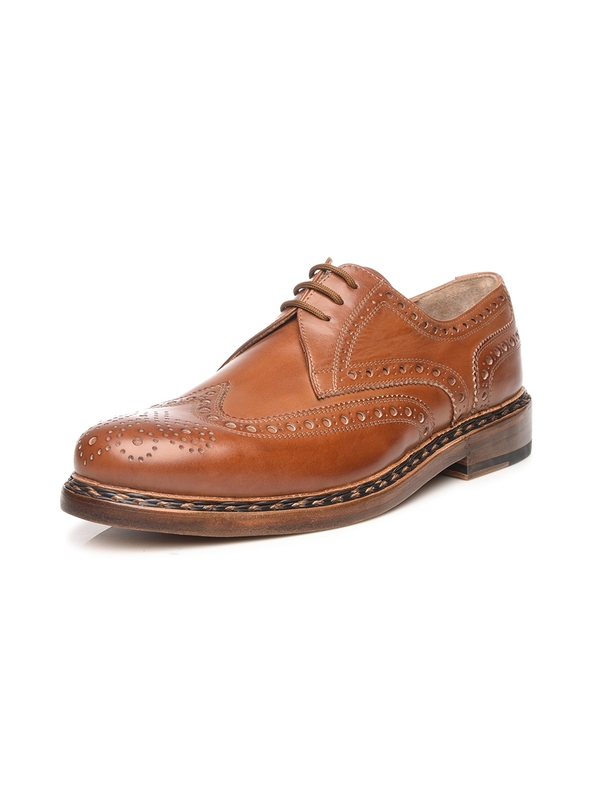 Crafted by master shoemakers in Budapest, the men’s full-leather shoe impresses with its exceptional quality. 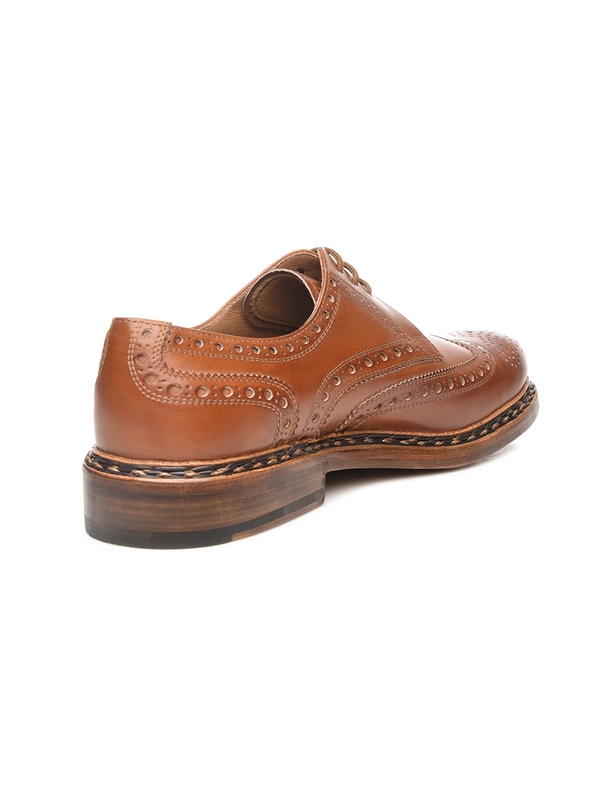 This aniline-dyed masterpiece is the result of a 300-step manufacturing process. 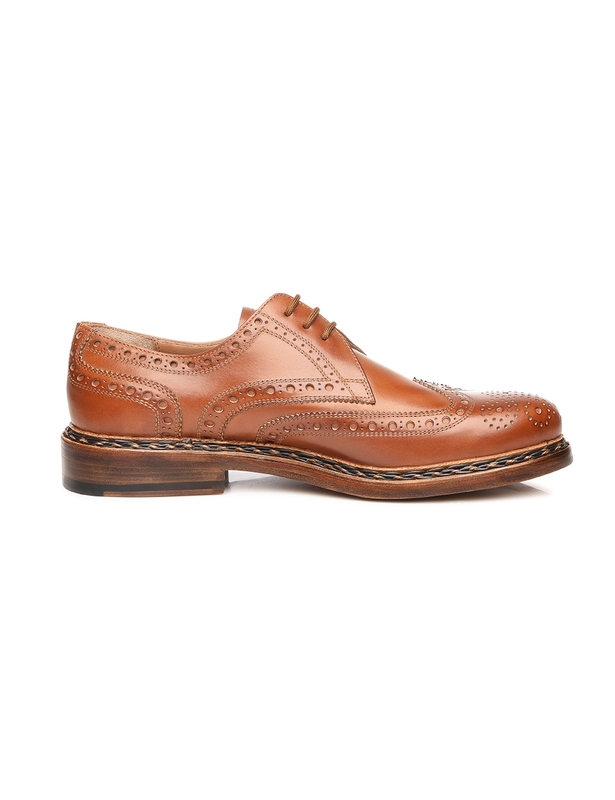 Furthermore, this double stitched full-brogue Derby captivates with its distinctive braided welt, a Heinrich Dinkelacker trademark. 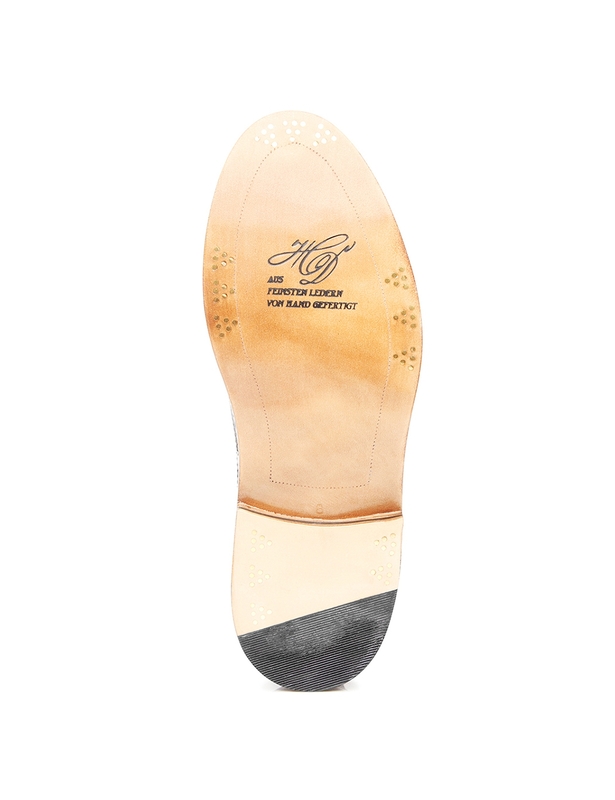 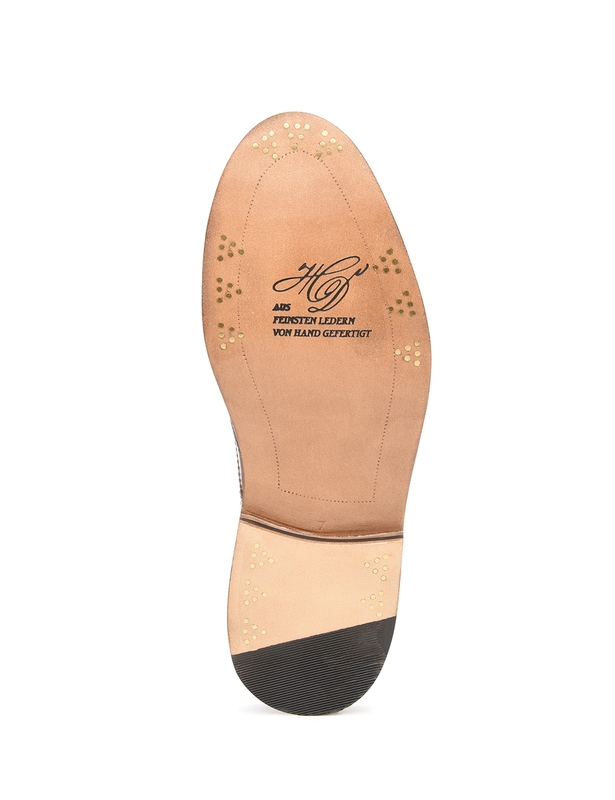 It is topped off by a double sole, which is attached with a set of six nails, and which includes a leather Rendenbach outsole.